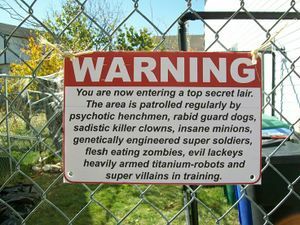 Standard entrance to any Secret Lair. This particular Artifact is the reward for completing the Mini quest Find the entrance to a secret lair. Heroes will have to complete the quest alive and in one piece, well mainly one piece, to receive this bonus. During the search, the Hero may also be rewarded with lost socks, lost love and maybe even lost marbles. This page was last edited on 14 June 2015, at 12:01.